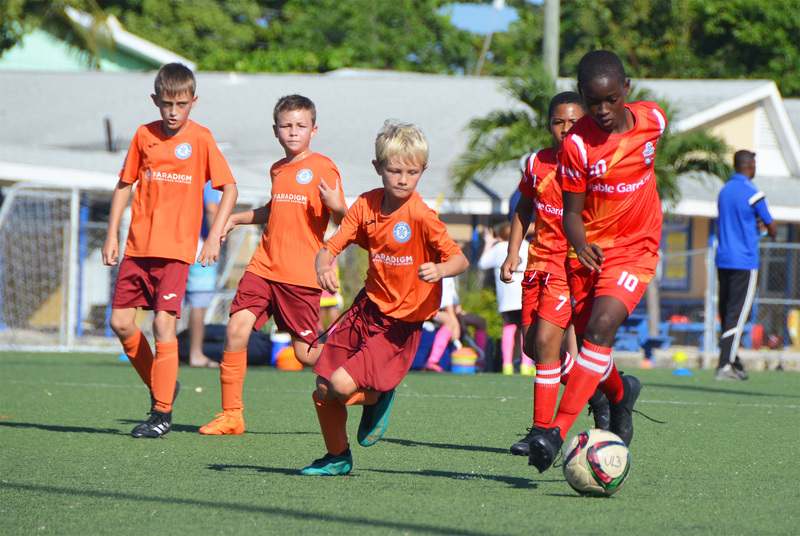 Ben Lyne (orange) of 345 FC II and Fred Boothe from George Town SC battle for the ball in this Boys Under 11 encounter. 345 FC II won the game 5-0. 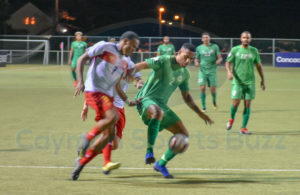 The re-formatted Boys Under 11 league got underway Saturday, 2 February in the 2019 Cayman Islands Football Association (CIFA) youth leagues. Saturday’s games also marked the third round of play in the Girls Under 11 and the Boys Under 15 leagues. In the Boys Under 11 league, 345 FC I and II kicked off their campaigns in style with respect rule enforced 5-0 wins over George Town SC I and Sunset Makos respectively. 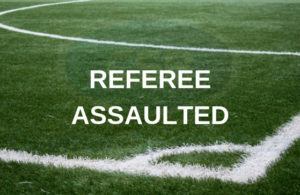 Jhairye Willis and Ben Lyne grabbed two goals each and Leon Frank added another as 345 FC I defeated GTSC 5-0 (respect rule enforced), while Chaz Ruddick, Emre Cuevas-Ebanks, Jagger Alban and Ethan Cansell all scored in the 345 FC II 5-0 defeat (respect rule enforced) of the Sunset Makos. The fifth goal was an unfortunate own goal. In the Boys Under 15 league played on Saturday afternoon, 345 FC I downed Academy SC White 2-1 with 345s Tom Byrne and Gilbert Cache-Rodriguez cancelling out Jaydon Whittaker’s opener for Academy SC White. 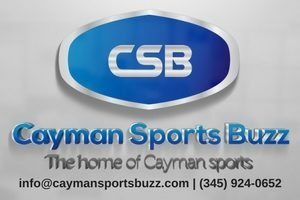 The 2019 CIFA Youth Leagues continue on Saturday, 9 February with a number of games at various venues across Grand Cayman.